Wychwood is hugely excited to welcome Mike Scott and his much loved band The Waterboys to headline the festival's main stage on Friday. Also confirmed are Scottish rockers Idlewild, Thrill Collins, Folk On, Keston Cobblers Club, Get Inuit and family favourite Justin Fletcher, whilst over in the Big Top the Smashing Blouse team add yet more exciting up and comers including Haelos, Tiger Club and Black Honey. 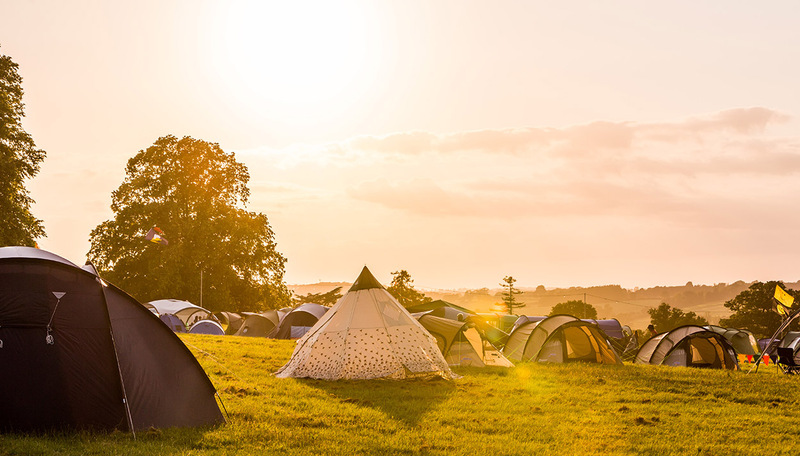 Located on the beautiful Cheltenham Racecourse, 3rd - 5th June, Wychwood Festival offers an incredible array of events for the whole family and all for extraordinary value for money. For tickets and further information visit wychwoodfestival.com. With their last album 'Modern Blues' heralded by The Telegraph as one of the best albums of 2015, The Waterboys have proven that after 33 years in the business they are still on top form. Fronted by the inimitable Scot Mike Scott, the band have seen many changes but always stayed true to their Celtic Rock roots as their global fanbase will testify. The band will inevitably make the Friday night headline slot one to remember for a very long time. Scot rockers Idlewild also make a welcome addition to the main stage on Friday night. Fresh off the back of their critically acclaimed 2015 album release 'Everything Ever Written' and with a plethora of incredible albums under their belt spanning back to the 90's, the band is the perfect addition to Wychwood's line up. Smashing Blousecontinue to prove their impressive credentials of booking the most exciting rising and established artists in the Big Top, with haze pop purveyors Haelos and instrumental geniuses Tiger Club, as well as Black Honey, Get Inuit and Folk On. Also set to delight the Wychwood crowds over the weekend areThrill Collins andKeston Kobblers Club. Wychwood's renowned children's programme is launched with the return of the nation's favourite children entertainer and BAFTA Award-Winning, Justin Fletcher a.k.a Mr Tumble. Known for his starring roles in The Tweenies, Timmy Time and Shaun the Sheep as well as his own radio show on Fun Kids, Fletcher's main stage performance will be an unmissable one for all the family. Over the past 11 years Wychwood Festival has cemented itself as one of the country's favourite family friendly weekends. Welcoming all generations, the festival curates a packed programme year on year with timeless greats, upcoming music, literature, comedy, children's entertainment, food and drink and more. Wychwood continues to offer great value for money - adult weekend tickets are priced at just £135, concessions at £110, 10-15 year olds at £65, 5-9 year olds at £25 and under 5 year olds go free with an adult. Day tickets are also now on sale, starting at £45 for an adult ticket. Full ticket price breakdown can be found below and as always with Wychwood Festival tickets, all are inclusive, with no additional booking fees and no hidden extras to pay on site.